70 textile artists expressing an emotion, idea, or feeling. 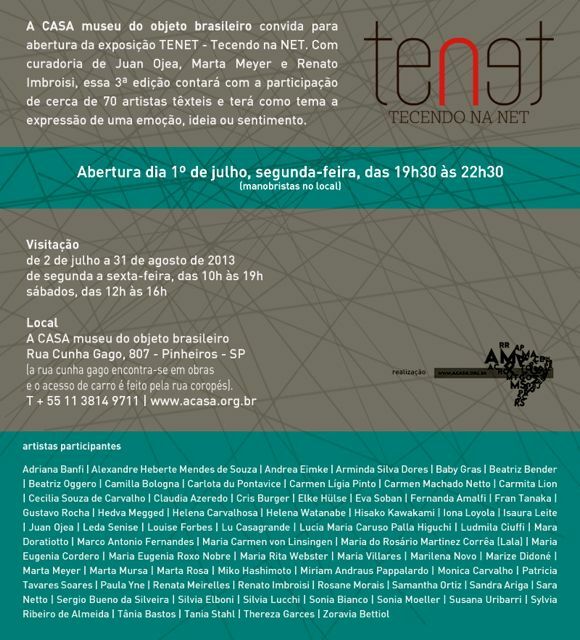 This entry was posted in Brasil and tagged A CASA, TENET, textile art exhibits by Silvia. Bookmark the permalink.